Available NOW! 2 story Woodbridge home, a highly desirable community, has a lush grassy greenbelt in front. There are two spacious bedrooms upstairs and two assigned carport parking space right behind the unit. One full bath upstairs and half bath downstairs. Open floor plan with a cozy fireplaces in the living room. Lifestyle attracts residents living here. You can enjoy all the amenities that Woodbridge has to offer including South/North lakes, beach lagoon, boat rides, 22 swimming pools, 16 spas, 24 tennis courts, sports courts and numerous parks. 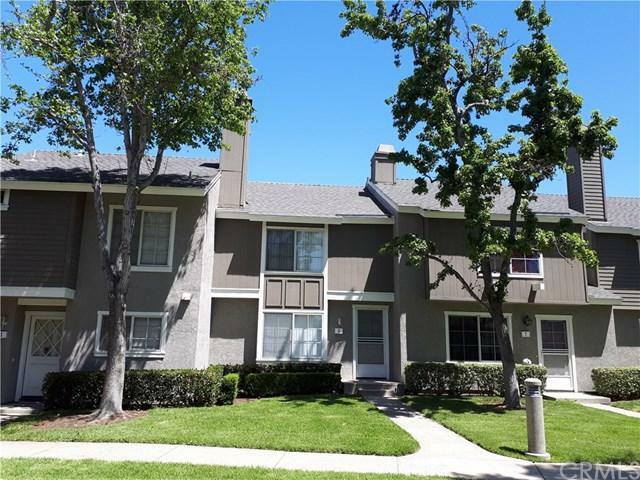 The neighborhood is only minutes away from restaurants, Spectrum, Irvine Valley College and South Coast Plaza. The condo comes with A/C, washer/dryer and refrigerator. Sold by Shelley Willner of First Team Real Estate.